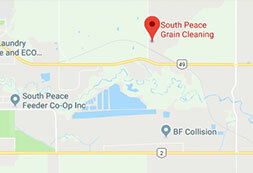 With the changes to the Canadian grain marketing system, SPG has identified an opportunity to help both buyers and sellers of Canadian grain by pursuing the operation of a rail service facility. This new service will give producers and buyers ready access to ship grain to outside of the Peace Region. The business plan and feasibility study are currently underway. As we work toward this exciting opportunity for area producers and marketers, management and the board of directors continue to develop strategic alliances that will strengthen our members' position in the marketplace.